What do you love most about your home? It seemed like an appropriate question to ask just days ahead of Valentine's Day. House love is a thing, too! That's why we decided to discuss the amenities in our homes that we genuinely have heart eyes for. Speaking of homes with swoon-worthy interiors, we couldn't get over the designs of two unique converted homes: an old firehouse in Chicago and a vintage train station in Hinsdale, NH. The former is a modernized gem with jaw-dropping ... See More architecture, and the latter is an adorable locomotive that was refurbished to its former glory. We also took a peek inside the newly redecorated homes of Kylie Jenner and her mom, Kris. No matter how you feel about the "Keeping Up With the Kardashian" stars, we dare you to not drool over the interior decor inside their pristine Southern California homes. Are we Kardashian/Jenner fans? Nope. But did we appreciate the decor choices they made? Surprisingly, yes! Put on your headphones and press that play button to hear why. In addition to these topics, you can expect to hear much more on this week's episode of "House Party" including a segment on the phenomenon known as "nose-blindness," as well as our picks for real estate winner and loser. Be sure to subscribe, and, by all means, throw us a five-star rating if you like what you hear. The more good ratings and reviews we have, the easier it’ll be for people to find us. Have a wacky home-related story you’re dying to share? Wish you could finally get your real estate questions answered? We’re all ears. 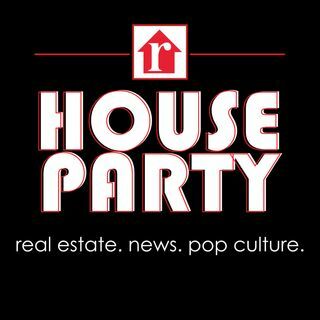 Reach us at podcast@realtor.com, or tweet us @housepartypod on Twitter.